One of the best shows I saw this past year was by an artist no one would file under “jazz.” That in itself isn’t unusual, or in any way unexpected: Like many a jazz critic, and I daresay most jazz musicians, my interests sprawlwell beyond the purview of this magazine. But something struck me about this show, a mid-March tour date by the reemergent R&B star D’Angelo, at the Best Buy Theater in Times Square. For lack of a better way of putting it, it had some killer Jazz Adjacency-that elusive combination of formal elasticity, in-the-moment spontaneity and cohesive intuition that we think of as jazz attributes, unless they coalesce in another area. D’Angelo’s music firmly belongs to the lineage of funk and soul, even though his ace band, the Vanguard, includes jazz-trained musicians like drummer Chris “Daddy” Dave. I’m not going to strain here to claim D’Angelo as a jazz musician, but I can attest that as I took in his show, some of the same neurons were firing, and some of the same emotions stirring, as when I experience a jazz gig of the highest order. I had a similar response to the most important hip-hop album released in 2015. Kendrick Lamar, the reflective young rapper from Compton, laced his furious masterwork, To Pimp a Butterfly, with the inflection and insights of musicians like pianist Robert Glasper. It’s no secret that there’s a dialogue happening across these genre outlines; one of the gigs that didn’t quite make this list was by Glasper’s acoustic trio, whose current repertoire includes a track by Lamar. And one of the breakout jazz artists of the year, saxophonist Kamasi Washington, got a lot of his traction from that Kendrick association, even though his heralded triple album, The Epic (Brainfeeder), hunkers down more in an astral Young Lion mode. None of this should be seen as an encroaching threat on mainstream jazz aesthetics, unless you subscribe to the idea that jazz should be a fixed language, which is to say a dead one. Looking over these gigs, what they share is a deep, tactile connection to the jazz tradition even as they reach for something else. I think back to a wintry conversation I had last year with Jack DeJohnette, the drummer, composer and NEA Jazz Master who appears twice in the tabulations below. “The disciplines that we all went through,” he said of his peer group, “to acquire the freedom and ease with which we can communicate this music, are totally broad.” Amen to that, sir, and may it ever be so. Marquis Hill Blacktet, TriBeCa Performing Arts Center, Jan. 31. 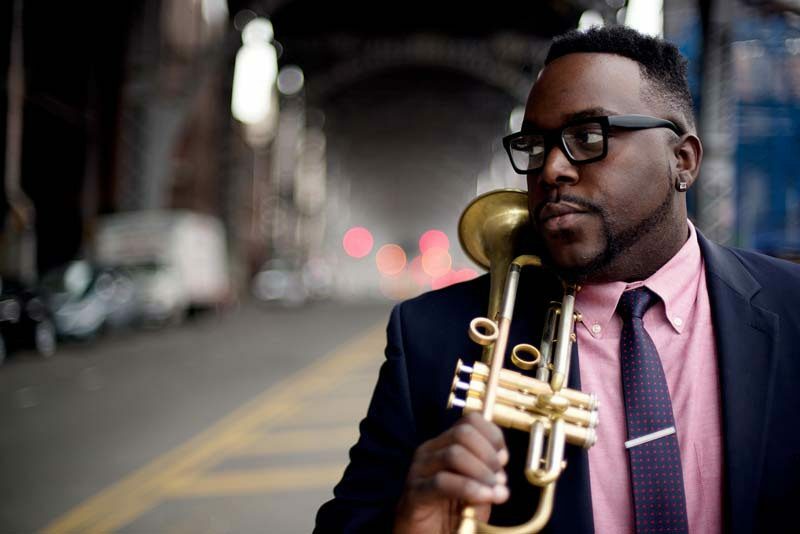 Months after winning the 2014 Thelonious Monk International Jazz Competition, trumpeter Marquis Hill brought his dynamic band to town and showed what all the fuss was about. I’ve already written in this space about Hill’s evolving potential; this was the moment when I got the message. Steve Coleman and Five Elements, The Jazz Gallery, March 6. There were other, more momentous bookings in 2015 for Coleman, the visionary alto saxophonist and composer. Still, the two sets he uncorked here were simply, head-spinningly great: a cool flash of mercury from a band that lives for the tensions of each transaction. Charles Lloyd New Quartet, Village Vanguard, March 15. A historic return, an exultant result: Lloyd, the luminous tenor saxophonist and flutist, hadn’t performed at the Vanguard for more than 40 years when he knocked out this one-nighter, part of an anniversary celebration for the club. His New Quartet, with pianist Jason Moran as chief catalyst, modeled a kind of slangy enlightenment, following the master’s lead. Ibrahim Maalouf’s Kalthoum, Dizzy’s Club Coca-Cola, May 25. Maalouf, an astute Lebanese trumpeter based in Paris, brought an obsessive drive to his latest project, a suite-like, hour-long extrapolation of a single tune by the great Egyptian singer Oum Kalthoum. This performance of the piece-with Mark Turner on tenor saxophone, Frank Woeste on piano, Larry Grenadier on bass and Clarence Penn on drums-was a statement at once feverish and suave. Maria Schneider Orchestra, Birdland, June 2. At this point it’s almost rote to lavish praise on this pacesetting large ensemble and its composer-bandleader. But The Thompson Fields (ArtistShare), Schneider’s most recent opus, exceeds even her stratospheric standards-as did this billowing, evocative set. 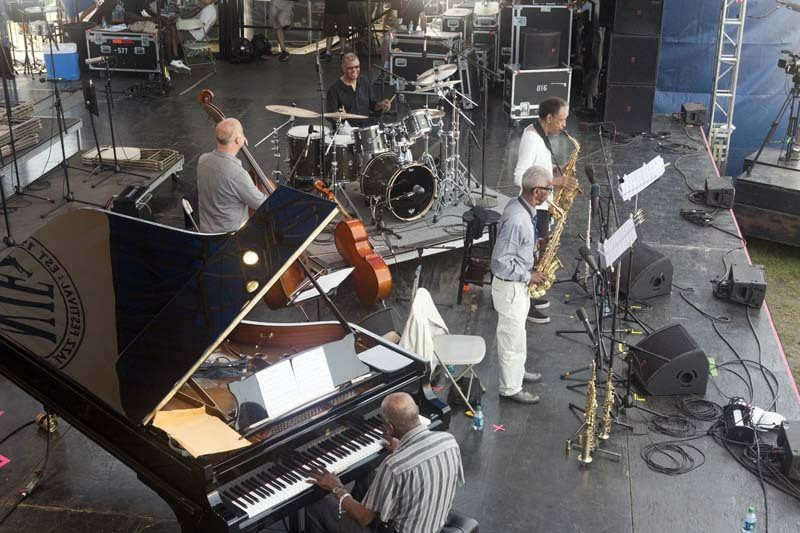 Jack DeJohnette’s Made in Chicago, Newport Jazz Festival, Aug. 1. The AACM celebrated its 50th anniversary throughout the year, resulting in a lot of serious music, including this reprisal of the summit from Made in Chicago (ECM), a concert album by drummer Jack DeJohnette. With Muhal Richard Abrams on piano, Roscoe Mitchell and Henry Threadgill on saxophones and Larry Gray on bass, it was a magisterial hour, ablaze with enigmatic insight. Kamasi Washington and the Next Step, Bearsville Theater, Woodstock, Aug. 19. Jazz’s latest savior? I’ll leave that notion to the likes of GQ. My own take on Washington’s ascendancy allows for some ambivalence, but on this night, in a setting primed for good vibes, his tenor saxophone carried the impact of a heavy gale, and his band delivered on its churning promise. Cécile McLorin Salvant, Jazz Standard, Aug. 25. Discernment isn’t often the first quality that comes to mind when discussing a jazz singer in her mid-20s. Yet this stunningly assured set by Salvant-which drew from, and improved on, her fine album For One to Love (Mack Avenue)-was as remarkable for its critical composure as for its strength and flair. Jon Irabagon Quartet, Jazz Standard, Sept. 2. 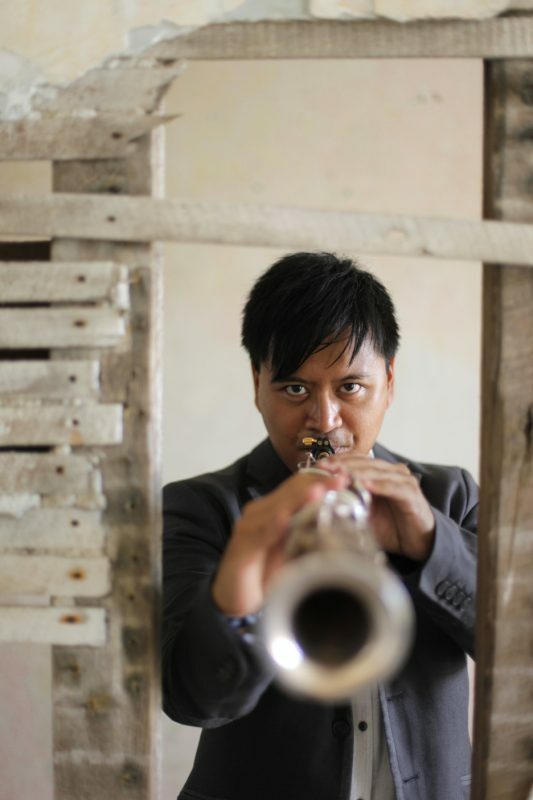 Irabagon is a saxophonist drawn to the play of opposing forces, especially those involving abstraction of form. He was working out some of those ideas in this set, with a new batch of tunes for a band featuring pianist Matt Mitchell, bassist Chris Lightcap and drummer Nasheet Waits. Jack DeJohnette Trio, ShapeShifter Lab, Oct. 10. The backstory could easily have taken a front seat here, given that DeJohnette’s trio featured saxophonist Ravi Coltrane and bassist Matthew Garrison, whose fathers worked in the John Coltrane Quartet. Remarkably, legacy was largely an afterthought in their sinewy, exploratory set, which preceded a recording session for ECM-the fruits of which, if we’re lucky, will be available in 2016. Onward!